Delacroix has become the unofficial redfish capital of Louisiana. Many redfish tournaments are held here each year, and tournaments held in other areas are often won by anglers who make a long run to the Delacroix area. 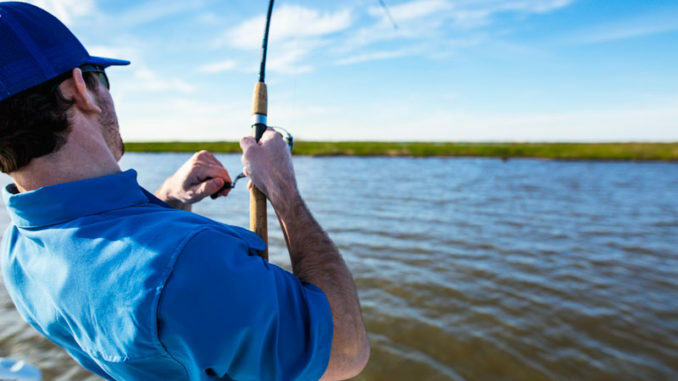 This fertile marsh is teeming with hungry redfish, and at times fishing for them can almost seem too easy. With its shallow depth, and clear water, Delacroix is often the perfect environment for sight-fishing redfish. 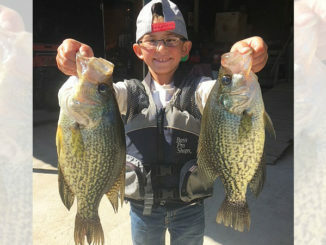 That being said, in recent years, the Mississippi River has drastically influenced fishing in this area, especially during the late winter and springtime. A breach in the levee called Mardi Gras Cut to the south, and the Caernarvon Freshwater Diversion to the Northwest both allow water from the Mississippi River to flow into the marshes of Delacroix affecting water salinity, clarity and temperature. The good news is, unlike their cousin the speckled trout, redfish thrive in lower salinity water. Redfish have an excellent sense of smell, and are capable of feeding in extremely low clarity water. And feed they do because besides the fresh, muddy water, the Mississippi dumps tons of baitfish and other food into the Delacroix marsh. Avoid muddy conditions by leaving the main canals and bayous and heading into backwater ponds where coontail and hydrilla further filter the water. In this tidal system, daily flushing keeps the oxygen content freshened, but it’s best to avoid the choked and stagnant water of dead-end canals or sloughs. This fresh water also grows acres of submerged vegetation, which creates additional structure and helps to filter the water, clearing it up in the process. 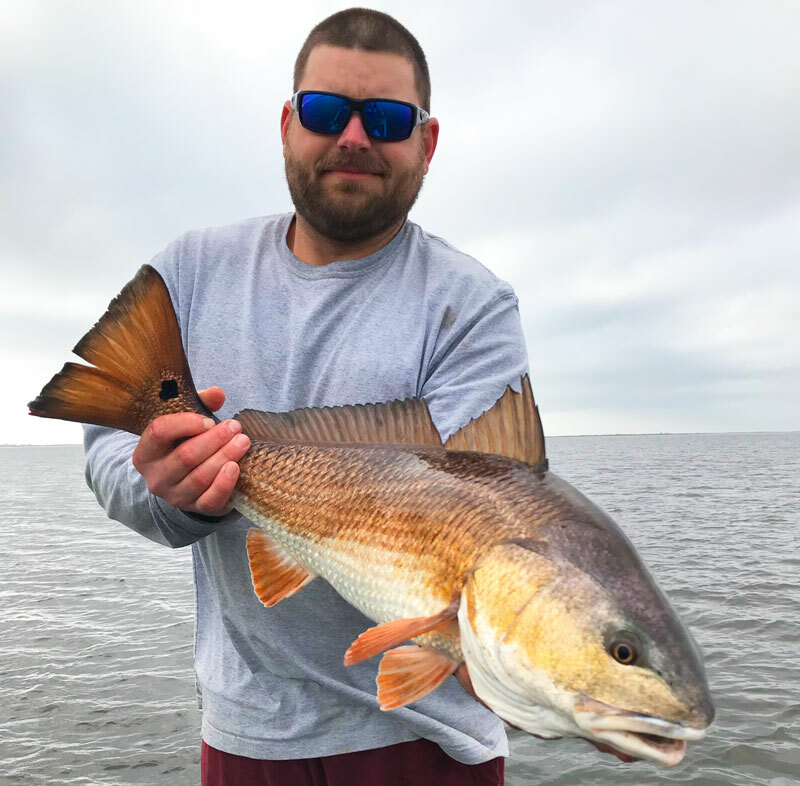 In spite of all of the river water, anglers who make some slight adjustments to their fishing strategy to target these areas rich in hydrilla and clearer water can catch limits of redfish in April. 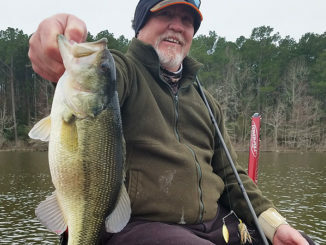 With the Mississippi River running extremely high during the springtime three of the last four years, savvy Delacroix anglers have a solid track record of how it affects fishing. Chris Pike Jr., who owns and operates Cast and Blast Charters, fishes the area extensively. When asked how river water affects redfish, Pike was happy to share some tips. “Early in the year (February and March) redfish will often avoid river water because it is a few degrees colder; but in April, they often gravitate toward it,” he said. This might seem counterintuitive, but Pike went on to explain. In April, redfish often gravitate toward fresh river water. Here’s Ryan Bourgeois with a bronze-colored bull. Pike’s advice mirrored my own experiences, as I’ve often had great success catching redfish during April and early May in areas of Delacroix that many would consider more suitable for bass. When asked what areas he generally fishes during the month of April, Pike was happy to offer some additional advice. Capt. 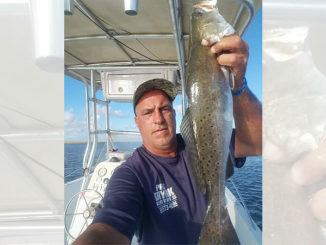 Charlie Thomason said he catches redfish throughout the Delacroix marsh, but he finds his best action within a 3-square-mile area around Four Horse Lake. Other hotspots include Lake John, Lake Lery, Grand Lake and Lake Robin. To newcomers, it all looks fishy, but the redfish definitely have their preferences. 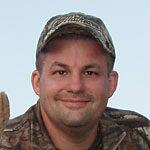 Thomason prefers fishing in and around natural bayous that bring food sources with the tides. 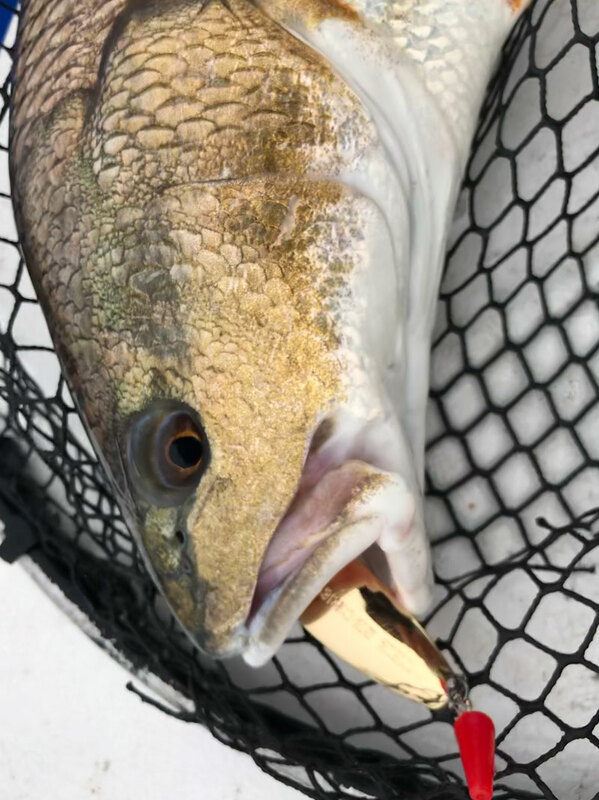 In April, many redfish move to the outer edges of bays and lakes such as Oak River Bay and Lake Campo to feast on the mullet, pogies and shrimp gathering there. Target the outside bends of bayous and canals and look for steep dropoffs where you’re in 12 feet of water 5 feet off the bank. Reds will lie in that deep water and look for food to wash over them. Building on Pike’s advice, my personal favorite and go-to lure for redfish is “The Secret” weedless gold spoon by H&H Lures. This spoon comes with a ball bearing swivel attached, and a unique red plastic cap which slides over the swivel, streamlining the lure and covering the tag end of the knot. The red plastic cap is a game changer, because with other weedless spoons, the exposed tag end often catches grass, snagging up and causing redfish to shy away from them. “My personal favorite and go-to lure for redfish is “The Secret” weedless gold spoon by H&H Lures,” said Sammy Romano. Other lures to try are suspending baits, shallow diving crankbaits and topwaters for fast action on artificial. Although this year’s high river presents some challenges when it comes to speckled trout fishing, catching limits of redfish should be no problem in the Delacroix marsh. For a great trip, contact Capt. Chris Pike Jr. at Cast and Blast charters (504)427-4973.